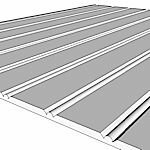 Elite Trimworks offers a wide variety of sheet goods. 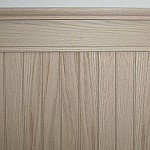 As we use large quantities to produce our PVC Wraps and wainscoting kits, we buy and SELL at fantastic prices. We are prepared to work hard to earn your business. We are ready to get down to business, our amazing prices keep tradesmen coming back! Call for lift (skid) pricing. We're standing by, ready to help you choose the right product, determine how much material you really need, and coordinate safe delivery of your order. We carry large amounts of inventory, so delivery is fast.